I should’ve done this a long time ago. Today I saw an amazing video. 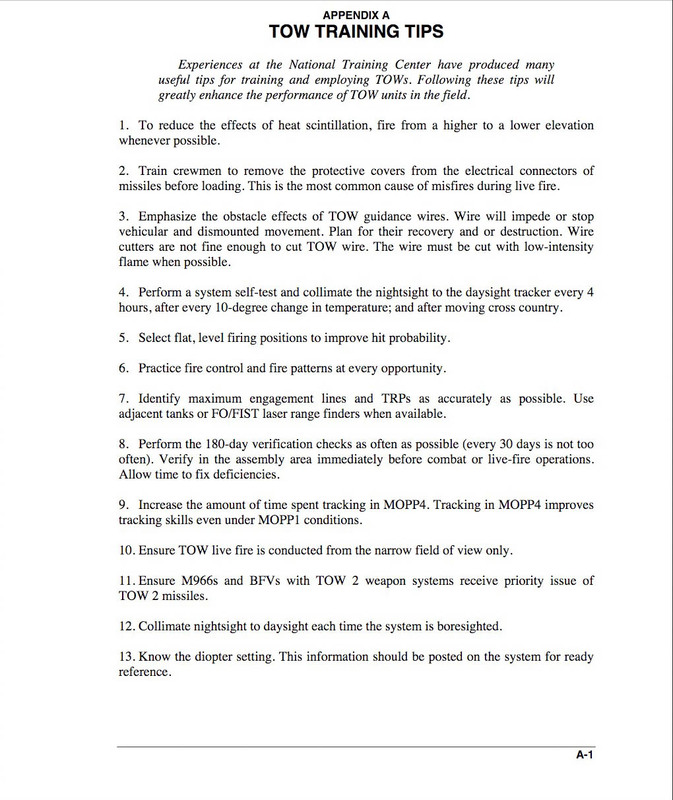 As a result, I finally determined how one becomes an expert with the American BGM-71 TOW antitank guided missile (ATGM). 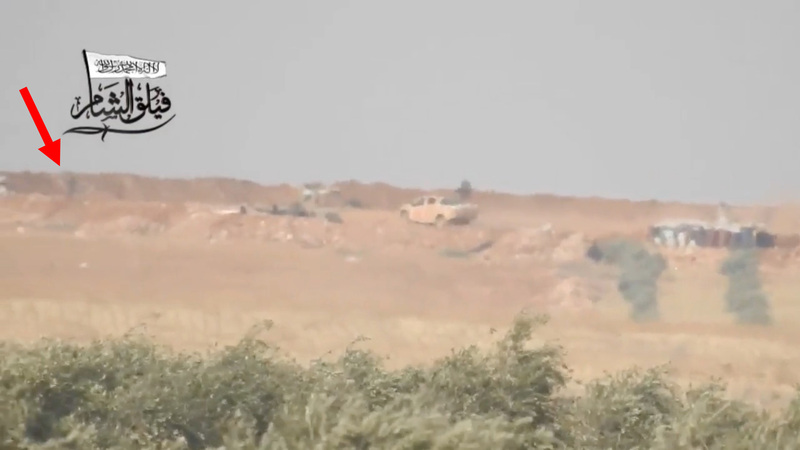 The only conclusion I can draw is that the vast majority of the rebel groups in Syria are mirages. Professional soldiers are using these weapons. We heard no report of a tank gun, artillery piece, or mortar. There was also no sound of an incoming round. When someone fires at you, this is what you hear: Thump. Whoosh. BOOM! 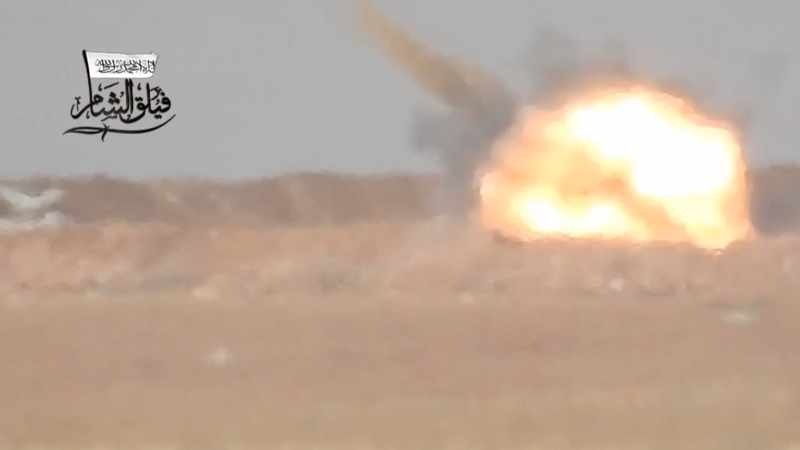 In the Syrian rebel video, they set off an explosive to make it appear that someone shot at them. 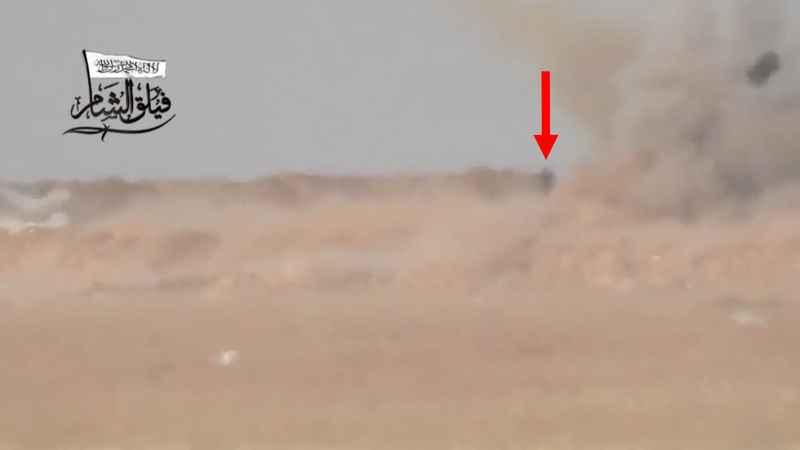 Then the TOW gunner fired his ATGM. It’s a BGM-71E TOW 2A. This version has a spring-loaded telescoping probe on the nose that extends on launch. There’s a second, smaller warhead on the end of the probe. 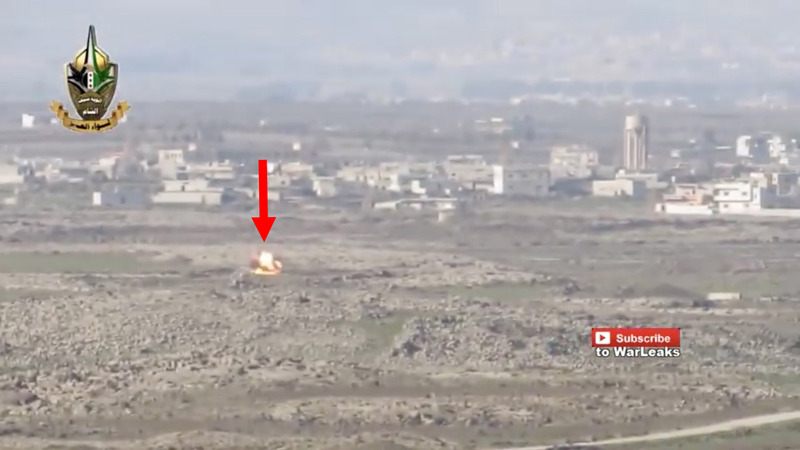 After 10.5 seconds of flight, the missile hit a tank. 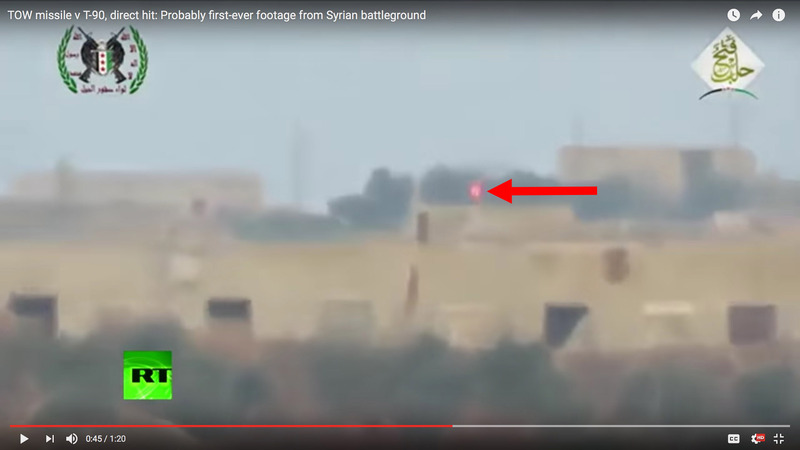 Like the “incoming round,” the strike on the tank was not real. 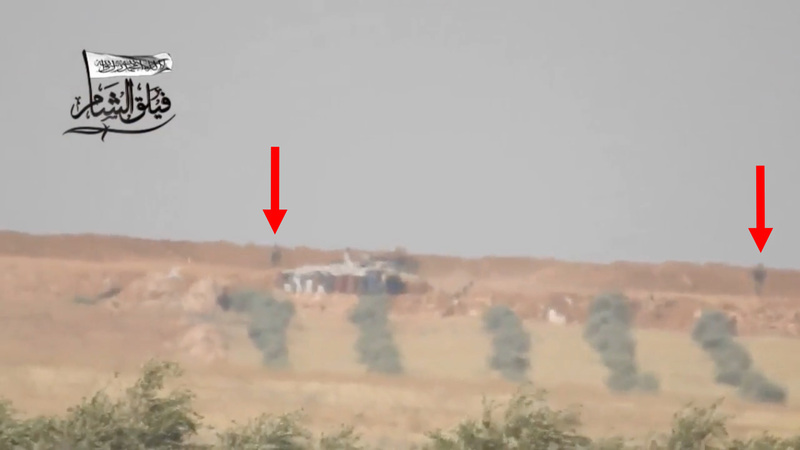 The tank had already been knocked out. 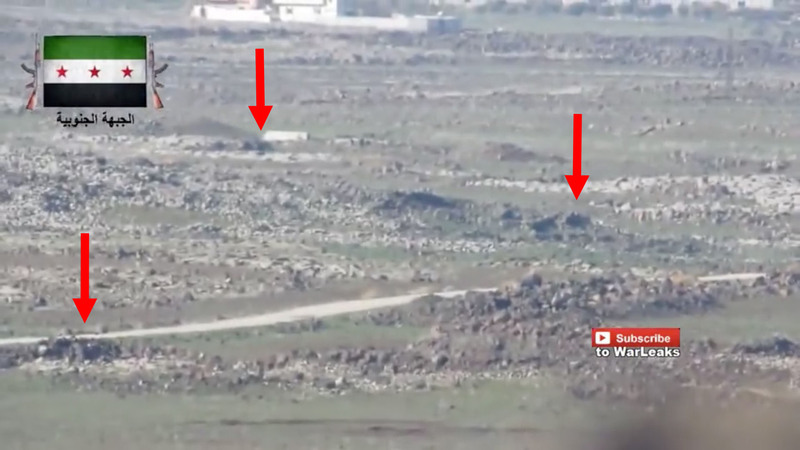 That valley is littered with destroyed armored vehicles. 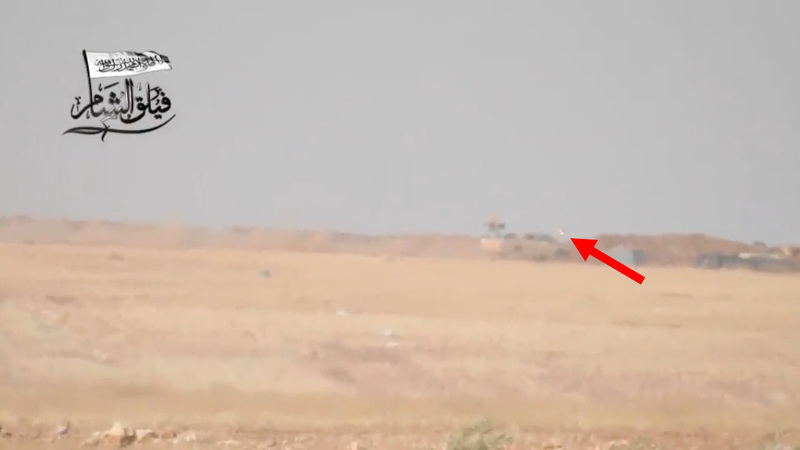 There was no living enemy for the rebel TOW gunner to engage. It was all playacting. So why the elaborate pantomime? 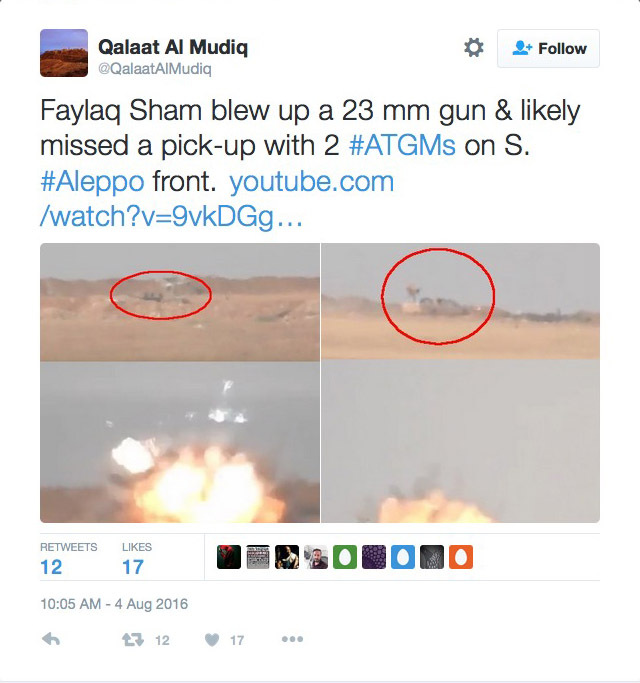 The press always jabbers about how the CIA provides rebel groups with the BGM-71 TOW ATGM. 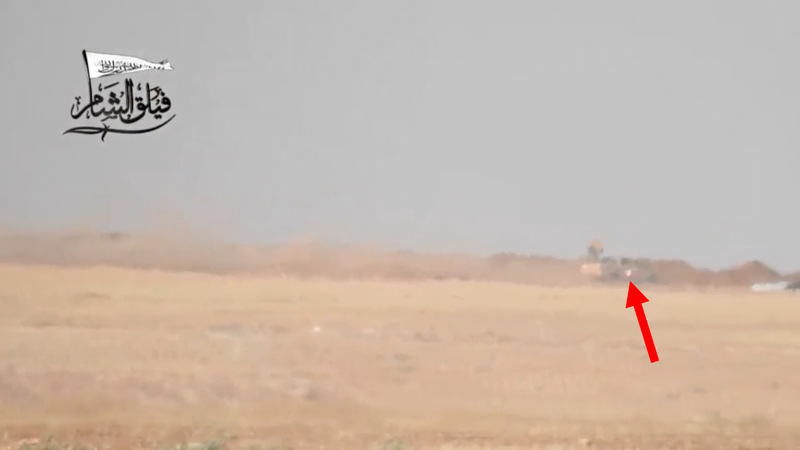 I never took the time to learn about how a person becomes a TOW missile gunner. You’ll be shocked at how hard it is. It takes five days just to learn how to assemble and use a TOW missile launcher. Then the gunner becomes part of a squad. 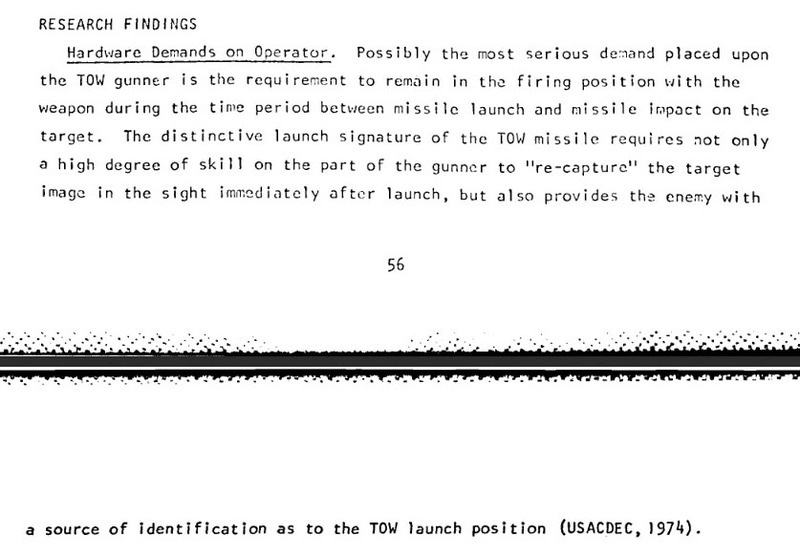 They use a mock launcher called the M-70 training set. The squad learns how to maintain the TOW launcher, engage targets, prepare range cards, construct a firing position, and camouflage that position. Then the squad takes a written examination and a proficiency test during which it assembles and emplaces the launcher. After all of the above is finished, the squad undertakes Conduct Course A: Conduct Familiarization Live Firing (Transition Training). It can last up to three months. Only then does the TOW squad begin work on the gunnery tables. 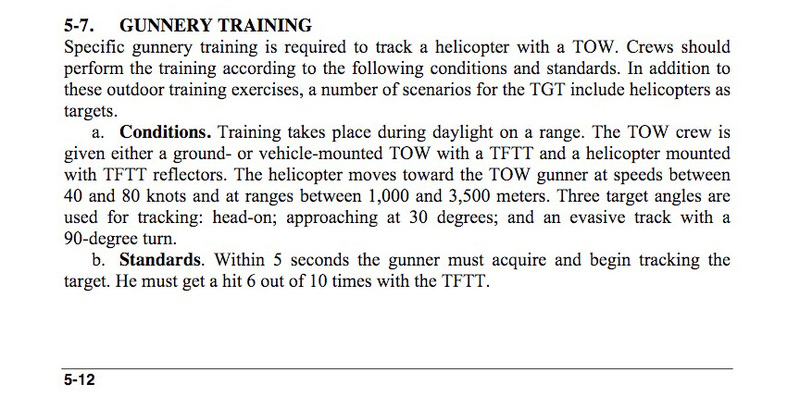 “TRC” means “training readiness condition.” All TOW gunners in Syria are TRC A, which means that they must undergo weapons training and gunner’s sustainment once a month. They must also complete all twelve gunnery tables and the Gunner’s Skill Test twice a year. 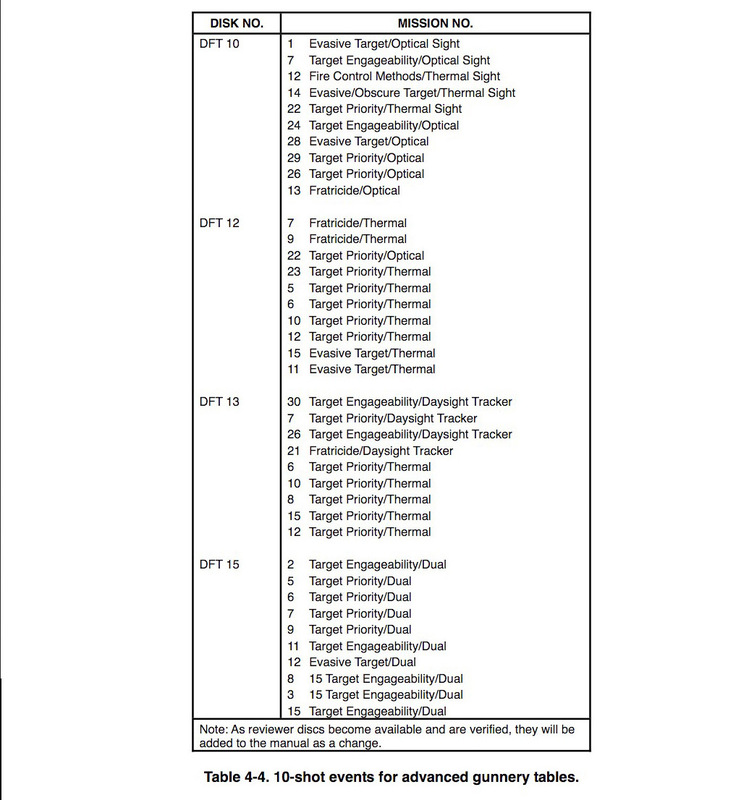 On top of that, a TOW gunner must complete Gunnery Tables 3 and 4 once a month. 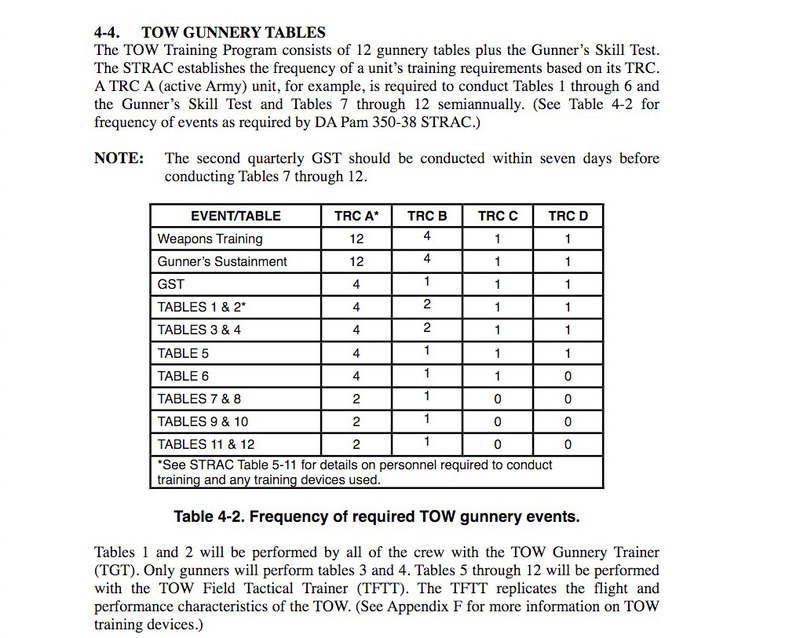 TOW Gunnery Tables 3 and 4 are made up of different missions. What about helicopters? Well, even more training. Therefore it’s not a question of giving men a TOW launcher and wishing them luck. After you train them, you have to test them over and over and over again. Won’t experience be its own teacher? The US army has the National Training Center (NTC). When they put TOW squads under battlefield conditions using the multiple integrated laser engagement system (MILES), this is what happened. Accuracy went down to 15 percent. Here’s something that isn’t widely known. 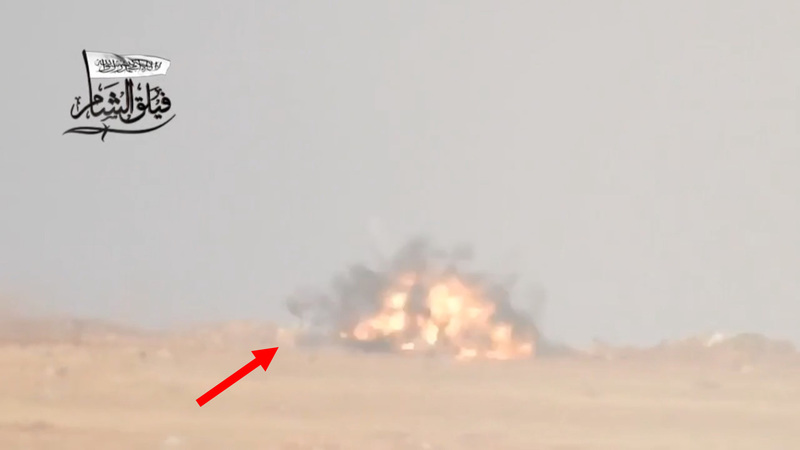 The backblast of a TOW is so violent that it knocks the gunner’s eyes off of the target. A TOW launcher sight has a cross hair. The gunner keeps the cross hair on the target so that a tracking device inside the sight corrects the flight of the missile. This tracking device watches a xenon beacon on the back end of the missile. As the missile flies, it unspools two thin copper wires behind it. The tracking device uses these wires to change the direction of the missile. 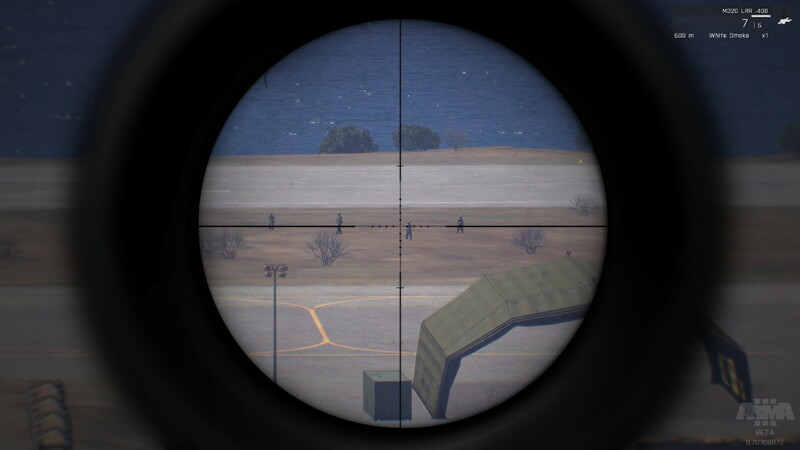 This guidance system is called “semi-automatic command to line of sight” (SACLOS). After you fire the missile, you have to reacquire the target. It’s extremely difficult. 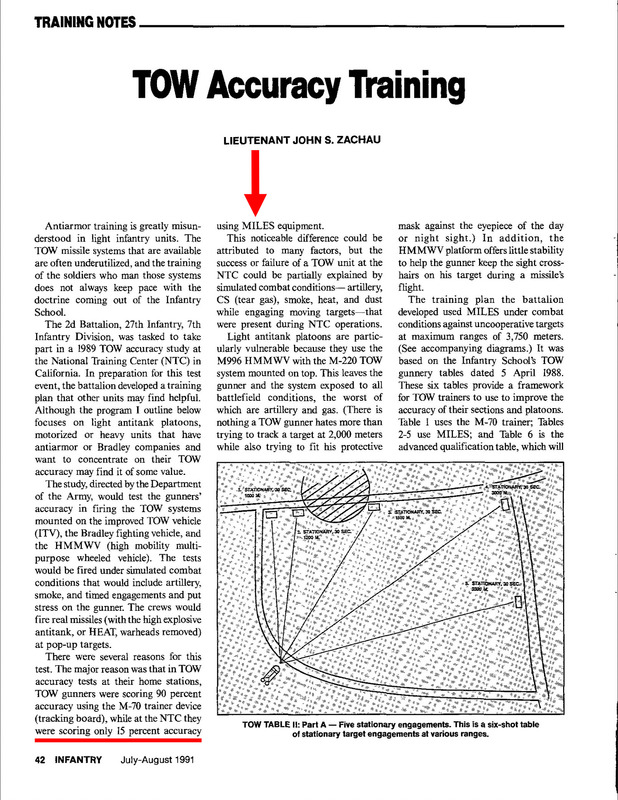 The US overcame accuracy issues with the Improved Target Acquisition System (ITAS). 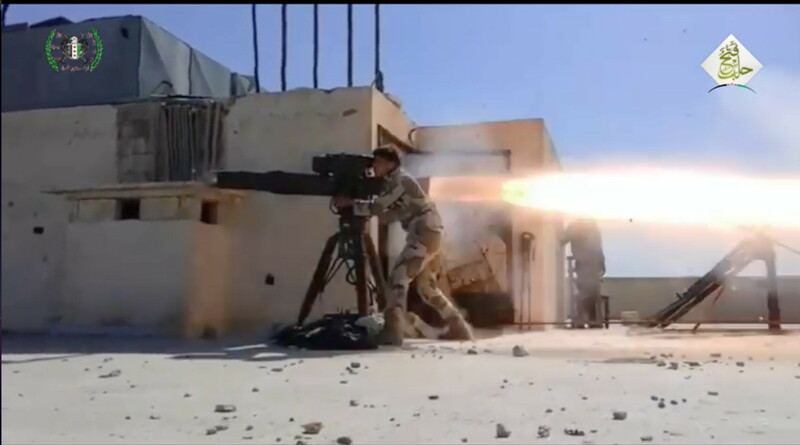 Every Syrian-rebel TOW is the older version that’s much harder to use. 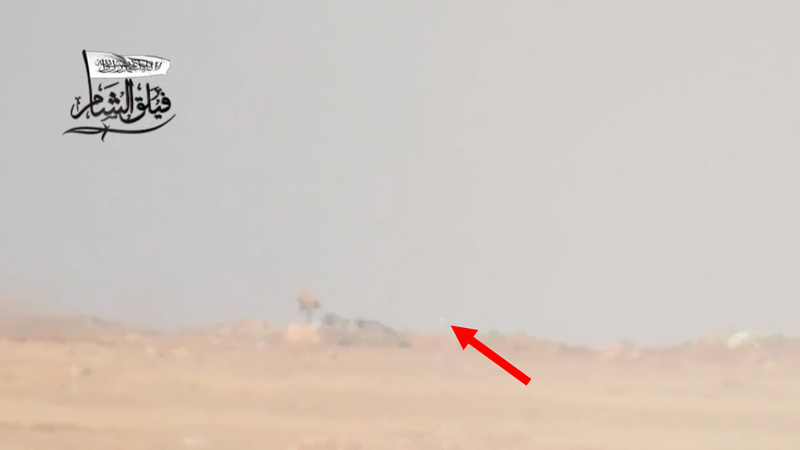 And yet the Syrian Sham Legion made this absolutely unbelievable shot. 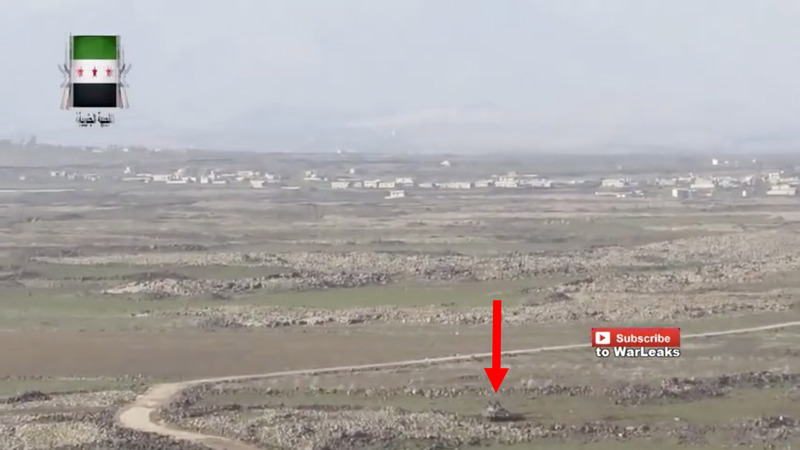 Watch the missile fired at the truck. 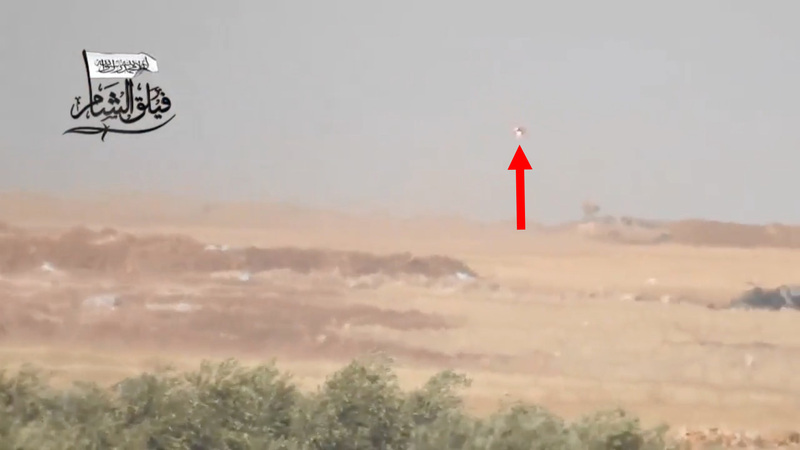 There’s zero chance that a rebel fired that missile. It may be the most difficult shot ever attempted. In fact, it was even harder than you may realize. No. The truck’s occupants did not survive. A commander was trying to escape. My guess? He was an Iranian from the Quds Force. 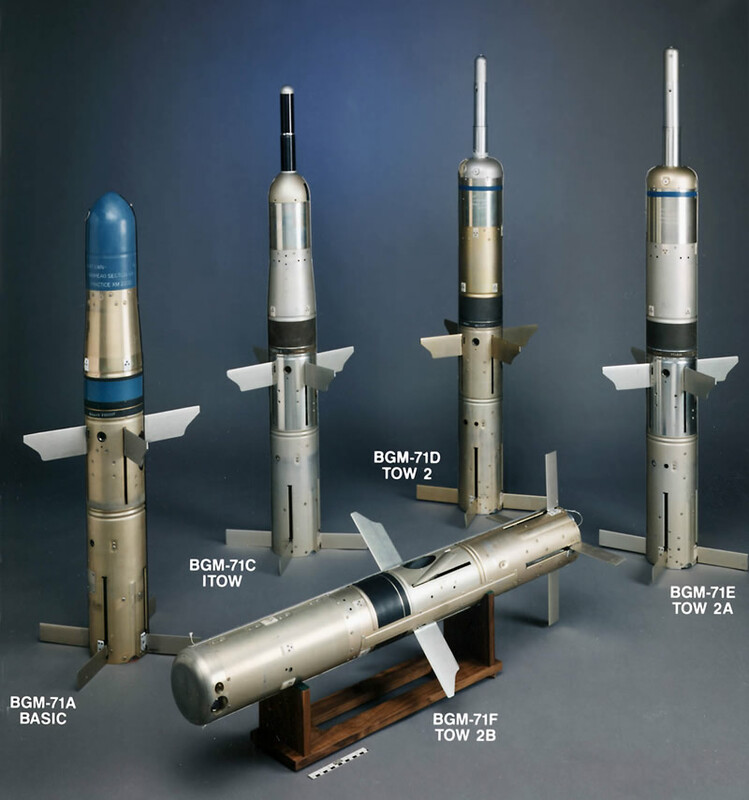 The warheads of these BGM-71 TOW missiles are fuel-air explosives (FAE). No such variant is known to exist. 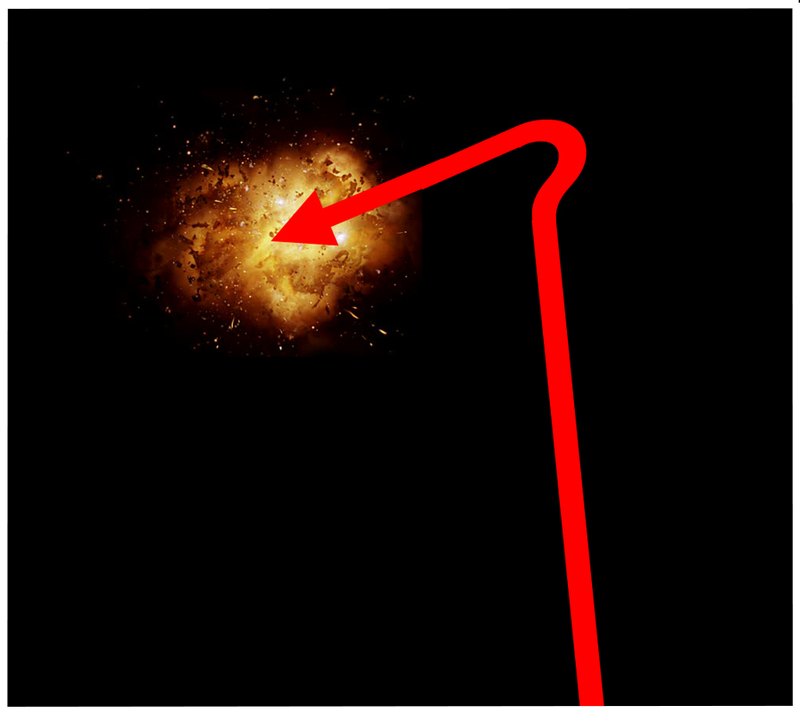 However, there’s no fragmentation from the explosions. 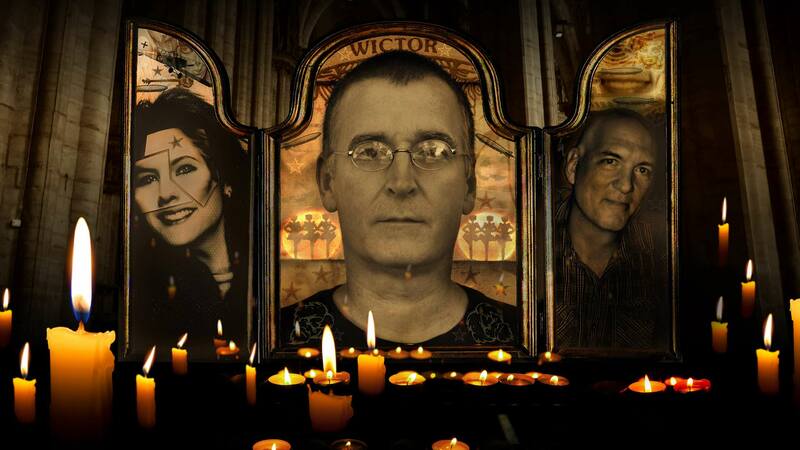 Also, this dome of flame is without question the signature of an FAE. These have to be new Israeli Arab League munitions. As I’ve said before, the Arab League is defeating the enemy without killing average foot soldiers. This man survived unharmed. As the pickup truck flees with the commander, we see that the missile gunner spared several other men. The missile chases the pickup. Remember that the gunner is keeping the cross hair of the sight on the truck. This is all due to human skill. It would’ve been hard enough to even hit the pickup, but the gunner did something that required a level of training that no western nation can match. 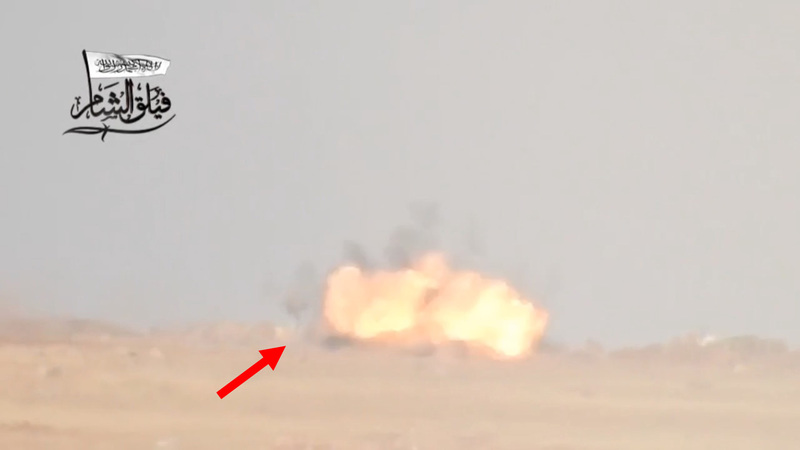 He swerved the missile around to the front passenger side of the pickup. 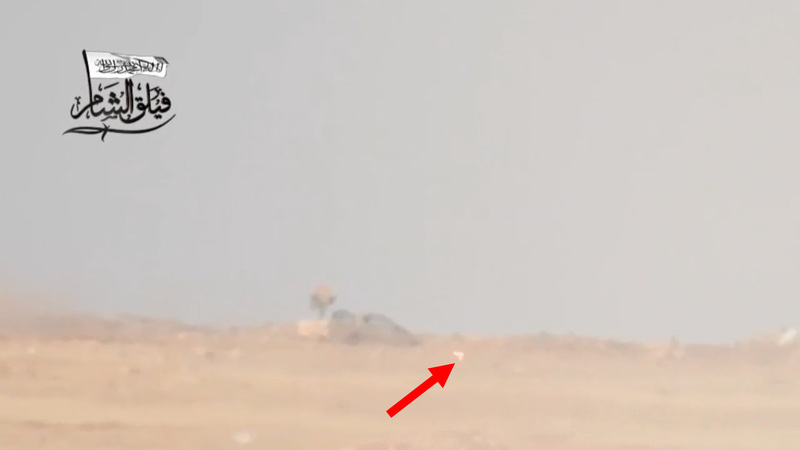 To do that, he had to take the cross hair off the pickup, point it at empty air, estimate when the vehicle would arrive, and then swing the sight back, causing the missile to make a sharp left turn and hit perpendicularly. This is the trajectory, as seen from above. 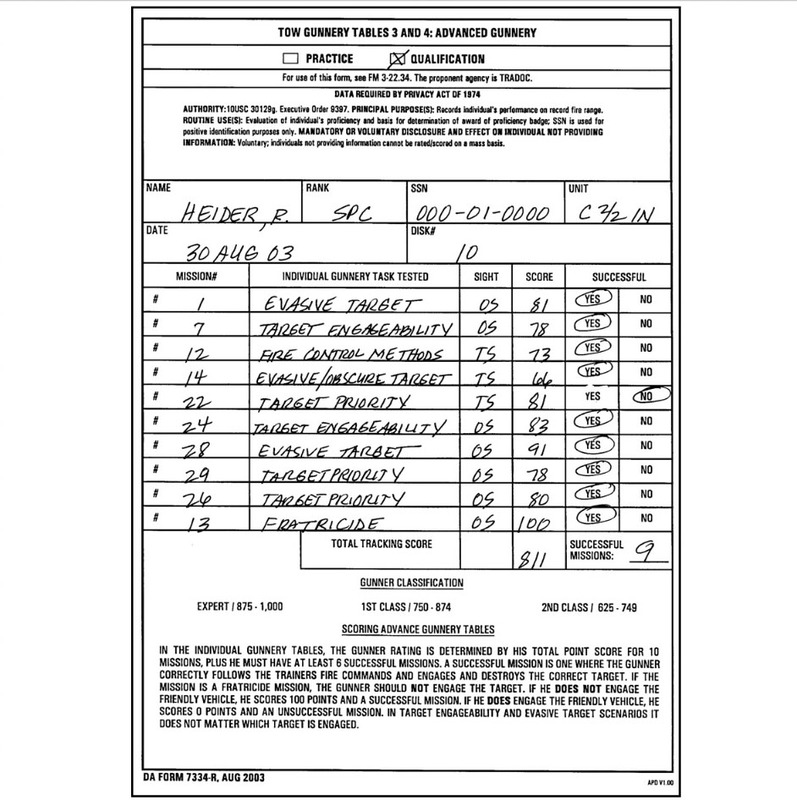 Soldiers who can that manually are in a class of their own. The warhead detonated right outside the window, killing the target with a shock wave. Below, the red arrows show the tailgate of the pickup. 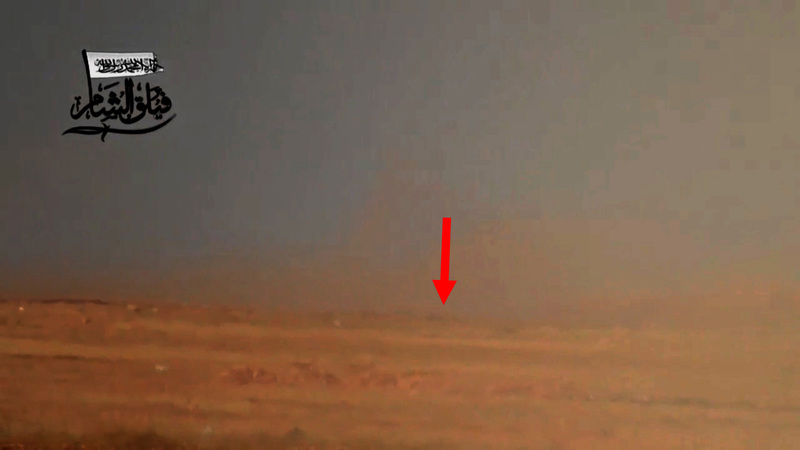 After the missile exploded, the pickup went into the ditch on the far side of the road. That’s where it stopped. 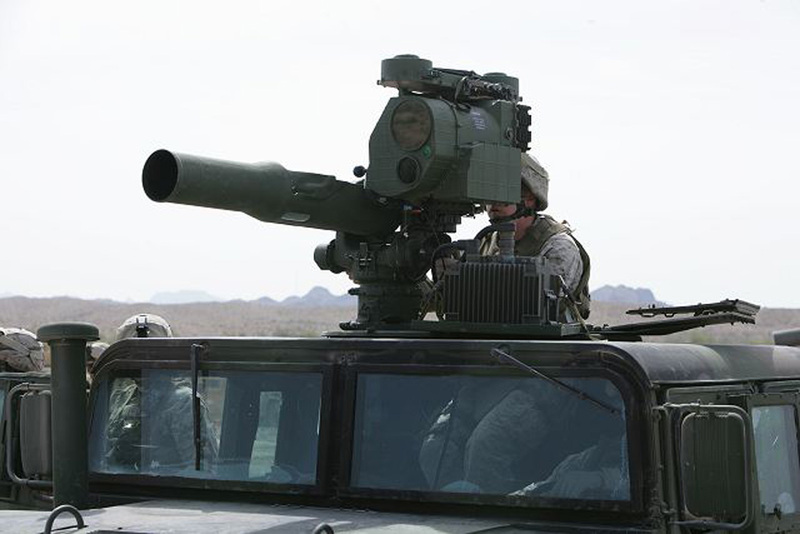 The Pentagon has approved the sale of more than 15,000 Raytheon Co anti-tank missiles to Saudi Arabia under two separate deals valued at nearly $1.1 billion. 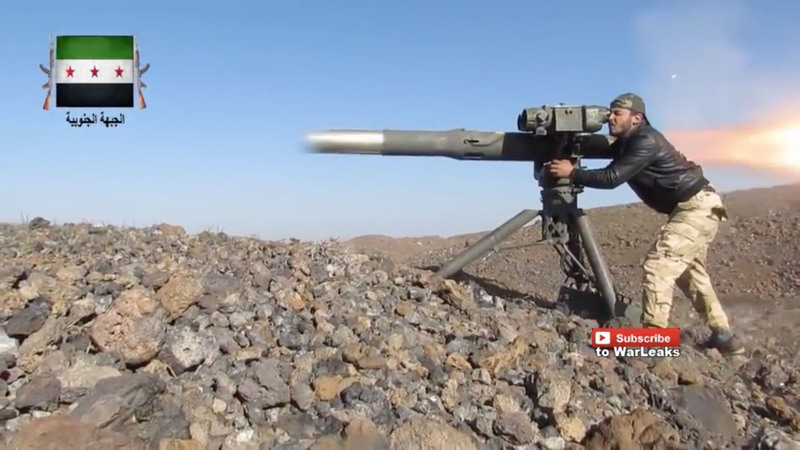 The Defense Security Cooperation Agency, which oversees foreign military sales, notified Congress on Thursday that it had approved Saudi Arabia’s request for nearly 14,000 tube-launched, optically tracked wire-guided (TOW) missiles for its national guard, and more than 1,700 similar missiles for the Royal Saudi Land Forces. Which would be easier: Train non-soldiers with divided loyalties to do all of the above? Or send your own absolutely reliable professional warriors? A few days ago, I was very confident about the future of the US. Now I’m back to being unsure. Personally, I’ll be fine no matter what happens. But it’s horrifying to see my fellow citizens taking pride in defiant stupidity, corruption, weak-minded conformity, and self-destructiveness. The Middle East is headed for the Promised Land. We Americans may not make it there with you, but if not, I’ll still be happy for you. Without reservation. This article viewed 45266 times.